Good morning and welcome back. 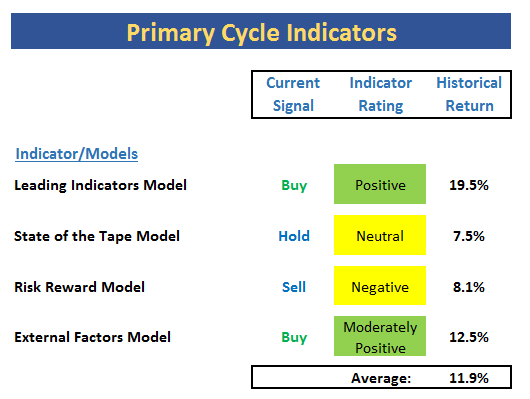 Since the focus has been jumping around a bit lately, it will be interesting to see which issues catch the interest of traders on this fine Monday morning. 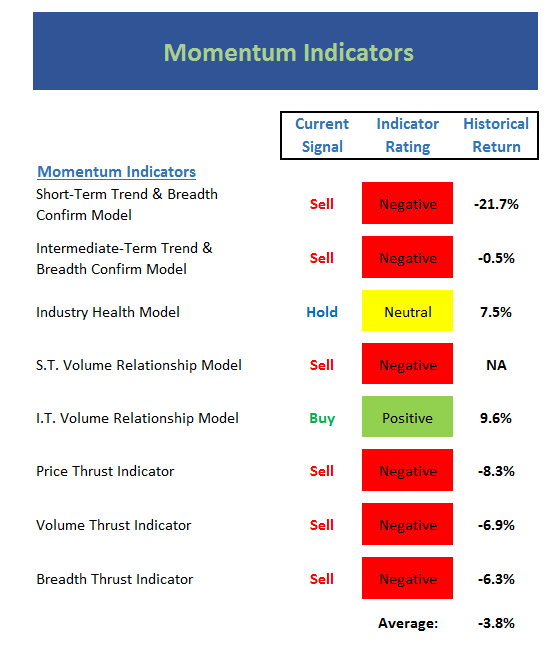 But first, let's stay disciplined and start the week off right by reviewing the state of our major indicators and models. 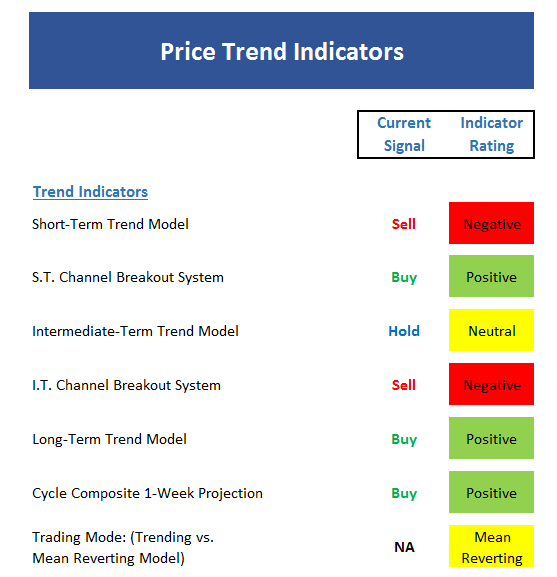 Next, let's look at the "state of the trend" from our indicator panel. 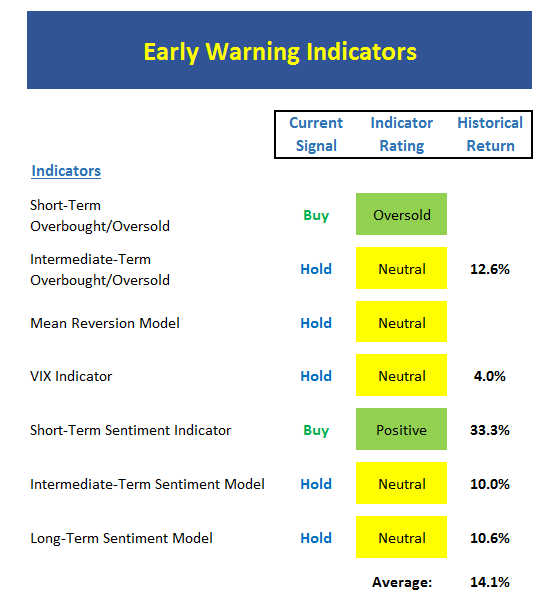 These indicators are designed to give us a feel for the overall health of the current short- and intermediate-term trend models. 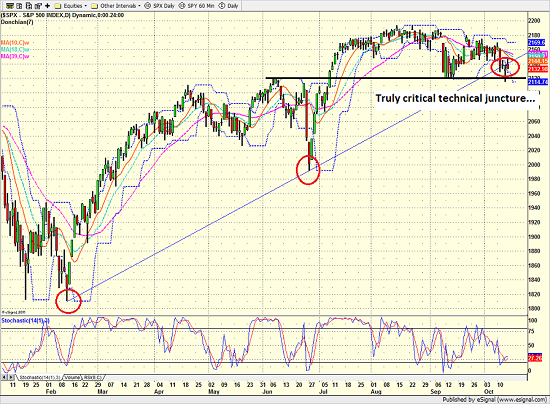 The technical action has been more than a little sloppy lately - I'll go so far as to call it weak. The key is there seems to be a plethora of negative issues for traders to focus on each day. It is worth noting that the indicators are weakening across the board. As such, stocks could continue in a "price discovery" mode for a while longer. The good news is that (a) this type of situation usually leads to v-bottoms and (b) the calendar says the tailwinds from the year-end seasonal strength should begin to blow in the next few weeks. 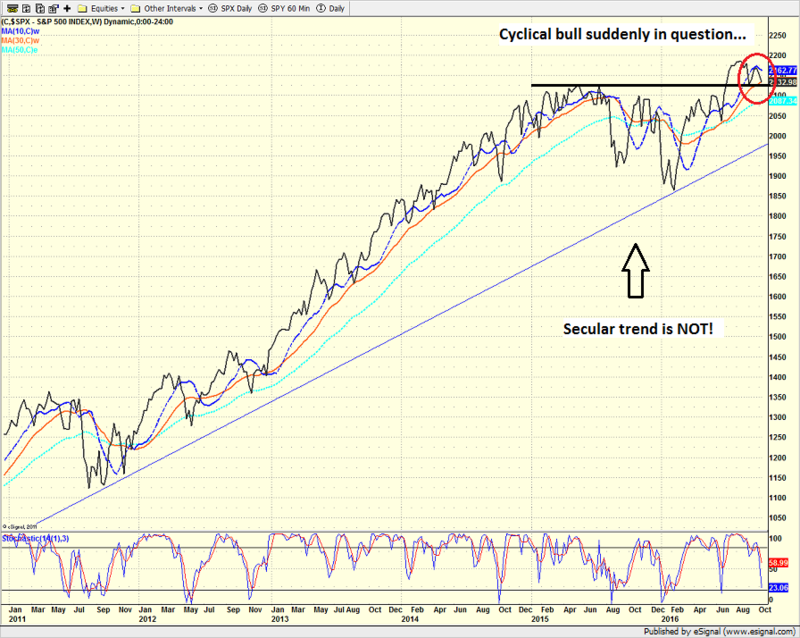 So, if you remain upbeat about the bigger picture situation (I am) and are looking to buy a dip, this is your chance.